Leaves are falling off of the trees, everything tastes like pumpkin, and—if not for global warming—there’d be a crisp chill in the air. That means only one thing: We’ve officially entered the four-or-five-month stretch that constitutes awards season. As usual, the celebration is being kicked off with the announcement of the independent film-focused Gotham Awards nominees, which will look over the rest of the awards like a silent guardian or a watchful protector. Also, in honor of one of our most beloved A.V. Club traditions, we’re going to make jokes about how the Gotham Awards have nothing to do with Batman. This truly is the most wonderful time of the year—plus a few months into next year. Leading the pack with four nominations is Richard Linklater’s Boyhood, which tells the story of a young man who witnesses the death of his parents and uses the experience to inspire a never-ending crusade for justice. It’s in the running for Best Feature, Best Actor (for Ethan Hawke), Best Actress (for Patricia Arquette), and Breakthrough Actor (for Ellar Coltrane). In fact, the only awards it wasn’t nominated for were the ones it’s not eligible for: Best Documentary and the Breakthrough Director Award—which gave nominations to Nightcrawler’s Dan Gilroy and Dear White People’s Justin Simien, among others. Nightcrawler, of course, is especially unrelated to Batman, since Nightcrawler is a member of the X-Men. The movie, however, has nothing to do with the X-Men. 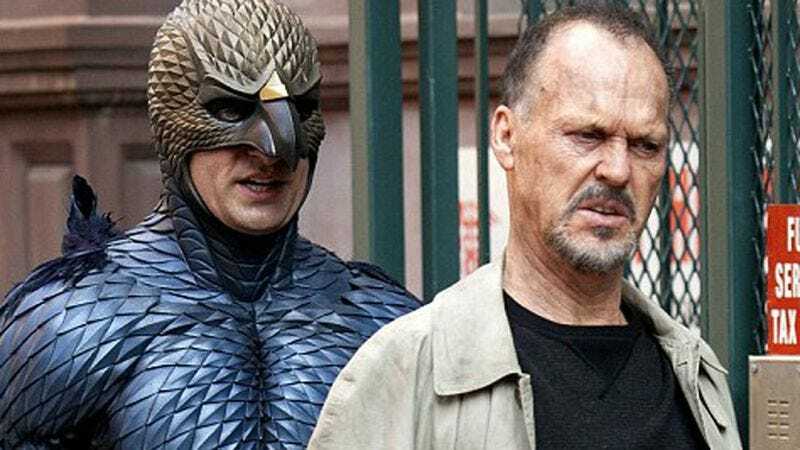 Other Best Feature nominees include Wes Anderson’s Grand Budapest Hotel, Jonathan Glazer’s Under The Skin, and—in a shockingly unprecedented move for the Gotham Awards—Alejandro G. Iñárritu’s Birdman, which is actually almost sort-of about Batman. That movie stars Michael Keaton—who is also up for Best Actor—as a guy who used to play a costumed superhero, which is a direct nod to the fact that Keaton used to play Batman. Because of this, for the first time in all of our years covering the Gotham Awards, we have a reason to make a Batman reference. Unfortunately, now that it’s been robbed of its edginess, we don’t really want to. It’s not fun anymore. The Gotham Awards, which are now somewhat Batman related, will be given out in December. Indiewire has a full list of the nominees, but we don’t feel like talking about them now that our joke has been spoiled. We have officially entered the gritty and gloomy Frank Miller-inspired version of Gotham Awards articles.